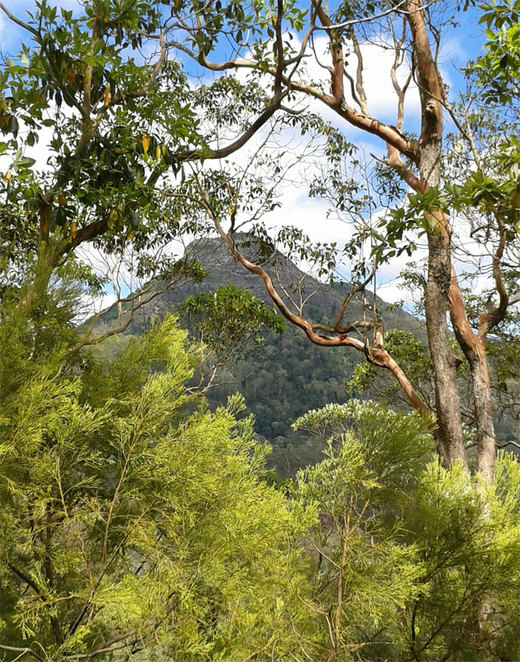 I previously published a list of 6 hikes that I considered essential hikes for anyone in the Brisbane area to do. Unfortunately I left some of the best hikes off the list. This was partly because I was trying to compile a list of the 6 best hikes in the area and some of my favourite hikes had to be left off the list, and partly because some of them were closed at the time of writing that list. The final reason is that I am still hearing about more and more hikes that are worth doing. 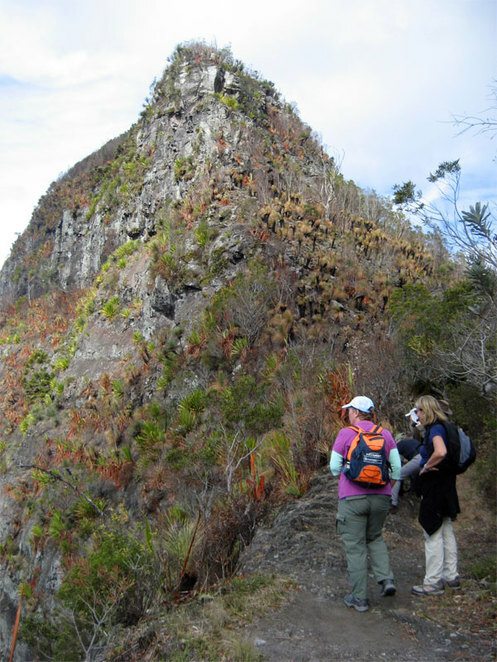 So here are 5 more hikes that are between 8-13 km and are fairly easy for anyone to do. 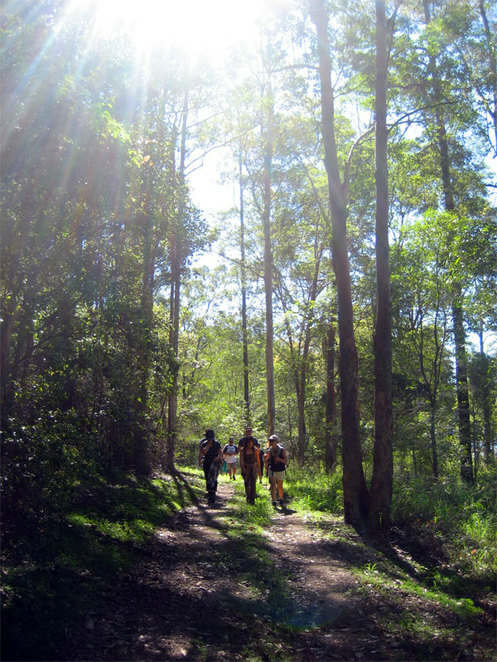 So add these to your list of hikes around Brisbane and let me know if you know of any other hikes I should include on a future list. 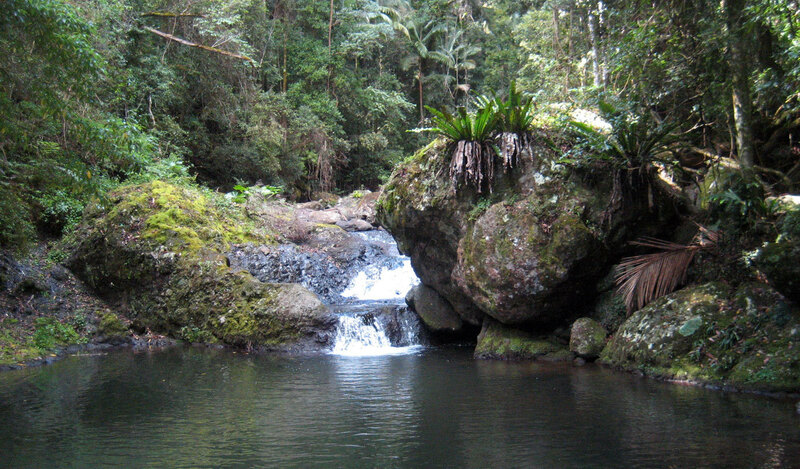 The last list of great hikes around Brisbane didn't include this hike for one simple reason, it had been closed for years. Yet it is the one definitive hike of the region because of the unbeatable views. 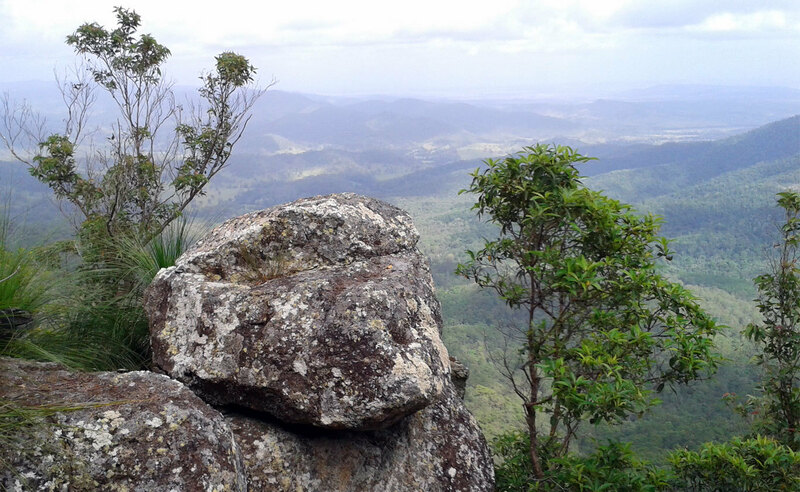 Whenever you see books on hiking in South East Queensland, they include the view from Bare Rock. 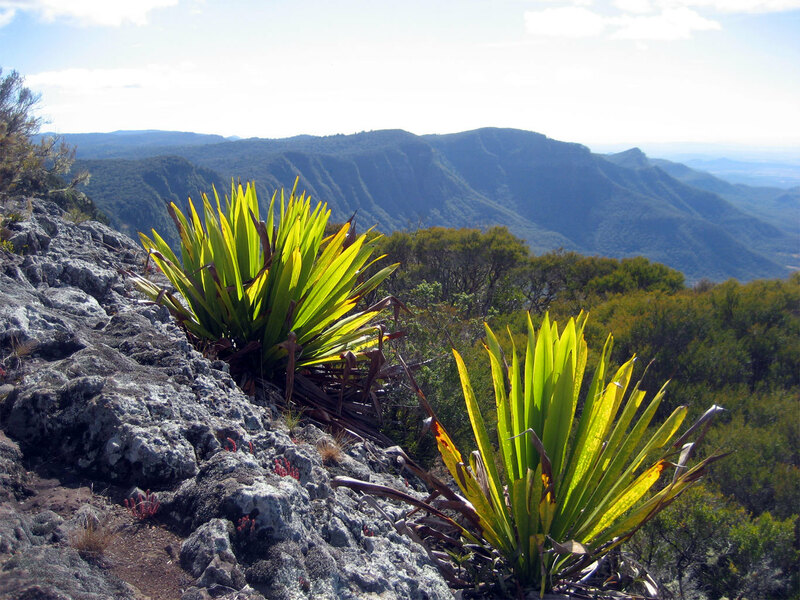 This 12.4 km hike starts from the Cunningham's Gap car park along the Cunningham Highway. This area has toilets and is the start for a number of hikes, including Mt Mitchell. However if you only have time to do one hike, then Bare Rock is the one to do. While generally a fairly flat path it has one short steep section. Bare Rock itself is a great place to sit and have a picnic, especially during the cooler months. Don't forget to take the short detour for Mt Cordeaux as well. There really is no other trail like the 8.1 km Mt Mathieson circuit. 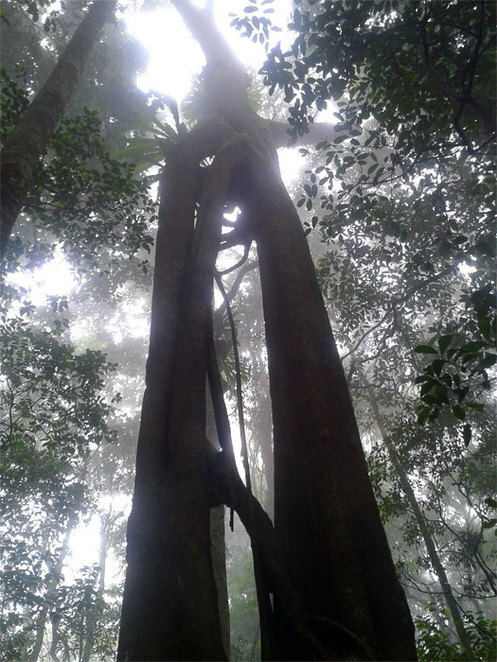 You will pass through varied vegetation, including rainforest, have great views of surrounding mountains and valleys and walk along a heritage trail. 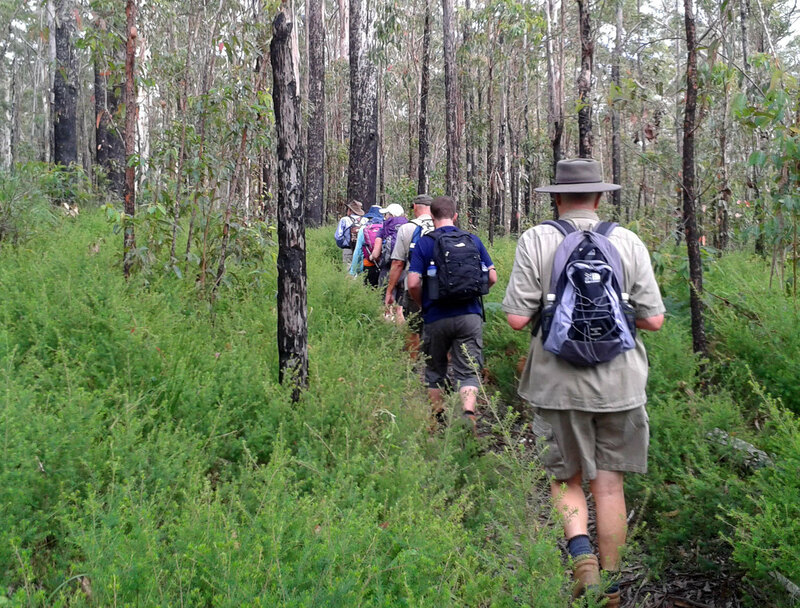 The walk starts at the Spicers Gap Camping area off Spicers Gap road. The track itself is reasonably rough and there is one section that requires some easy scrambling, but it is in no way a difficult walk. I think that it is easiest to follow the trail in a anticlockwise manner. I have done this hike a few times and we normally time it so that we can stop at Governor's Chair Lookout for lunch. 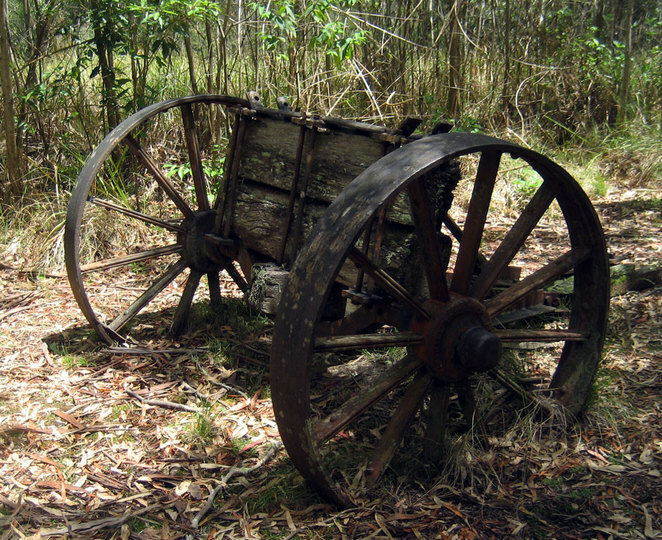 Anyone who is not keen or able to do the full walk, you can drive to within 150 metres of Governor's Chair using the 4WD trail or just do the 3.2 km heritage trail hike starting from Governor's Chair. 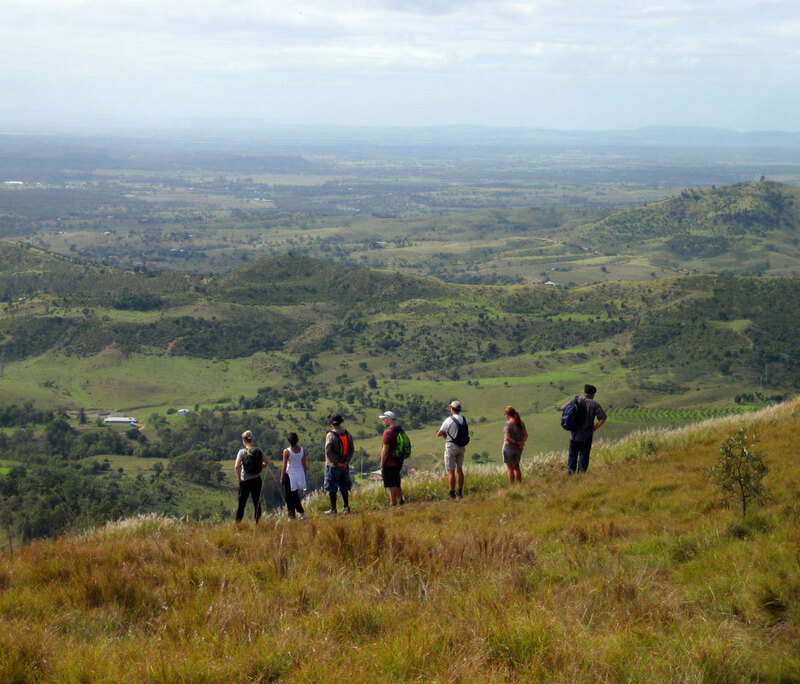 There are plenty of hikes north of Brisbane, but there are few that I know about that meet my criteria to be included on this list. One definite choice is the Somerset Trail at Mt Mee, about a 90 minute drive north of the city. This 13 km hike starts at the Gantry Day Use Area. The Gantry being the historic saw mill that was in use right up until the 1980s. 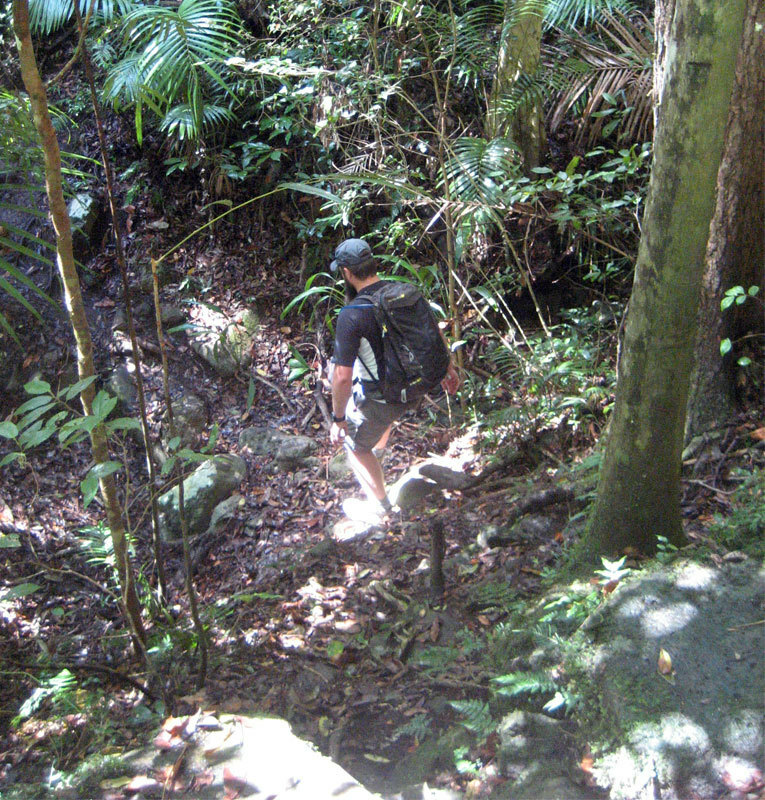 The walk is through mostly gum trees and other dry open forest, but also includes some patches of rainforest to keep things interesting. The highlight of this walk are the views from Somerset Lookout, which provides views of Lake Somerset and Wivenhoe Dam. The main issue of this track is that it crosses 4 wheel drive trails. Some hikers have mistakenly veered off onto these trails. When you come to any vehicle trails you will generally see another track marker on the other side of the road to prompt you to keep going. One hike that should be on everyone's list to do around Brisbane is Enoggera Reservoir, and you don't even have to leave Brisbane itself to do this lovely 10 km hike. Note: At the time of writing this the trails were not marked. It is not that easy to get lost as mostly you will be trying to keep close to the lake. 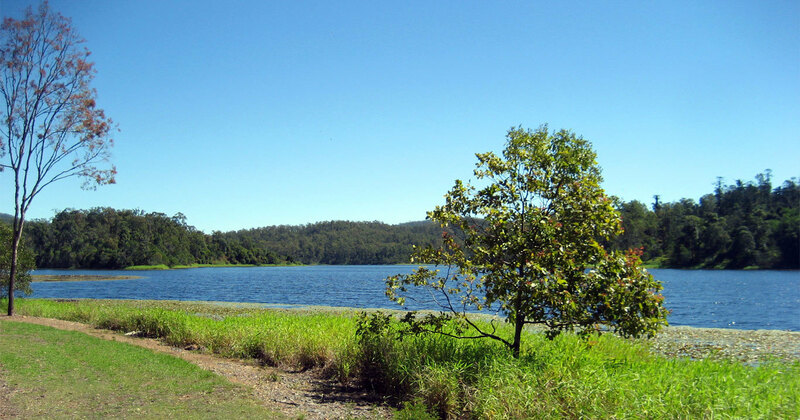 But remember that Enoggera Reservoir backs on D'aguilar National Park, which means a wrong turn could cost you hours of walking. You can download free topographic maps from QTopo, though we simply used our phones to keep on track. The best way to do this hike is go to the Walkabout Creek Wildlife Centre. You can take a bus to within easy walking distance if you don't have a car. You start the hike on the Enoggera Circuit, which isn't actually the circuit of the reservoir, so you will have to veer off onto the fire tail. Taking your smart phone or topographic map will really help you find the correct trail to take. The hike is not that hard, but near the start you do go up and over a series of ridges which will give you a nice workout. After that it is fairly flat. Even in summer it is a very pleasant walk with lake views and lovely scenery. End the hike at Payne Road and do a little suburban walking to finish the hike. The local kids take short cuts through holes in the fences and over razor wire, but this takes you onto SEQWATER property so the best route that doesn't involve trespassing is via Payne Road. I wasn't sure whether to include this hike as an essential hike, because it lacks the views of most of the either great hikes in the area. However I have talked to many people who remember hiking the Christmas Creek trail as a kid with their family or going with a boy scout group. Unfortunately the trail is not maintained by the National Parks Service and so it is much less visited these days and quality of the trail can vary somewhat. When I recently walked the trail it was in good condition however other people have said that in previous years it was over grown. 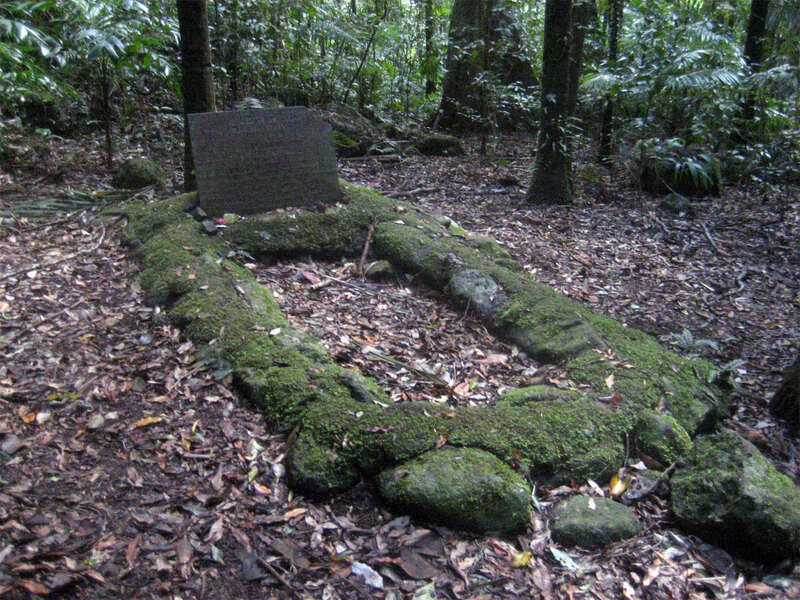 The reason to do this hike is to make it to Westray's Grave, who was one of the survivors of the 1937 Stinson Plane Crash who later died trying to make his way out to find help. The later rescue of the other survivors by O'Reilly has become part of Queensland Legend. 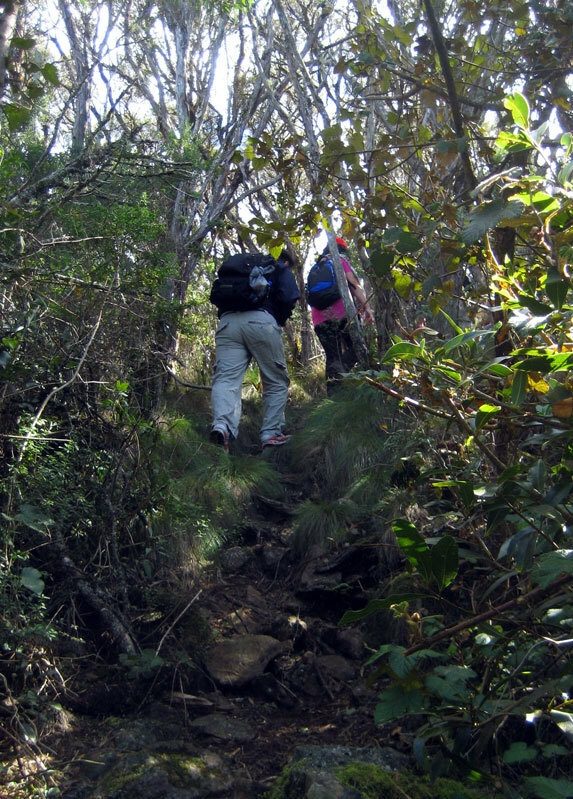 Note: It is not a long or hard hike, but it has a fairly rugged path in patches and it is easy to lose the trail. There is also one creek crossing which can be difficult if there has been recent rains. It is always a good idea to make sure you obtain topographic maps of the region, which you can now download for free from QTopo. However it is almost impossible to become lost as both sides of the creek are lined by steep bluffs. It is however recommended that you don't push on much past Westray's Grave unless you are well prepared for some of the much harder hikes that are available in the area. 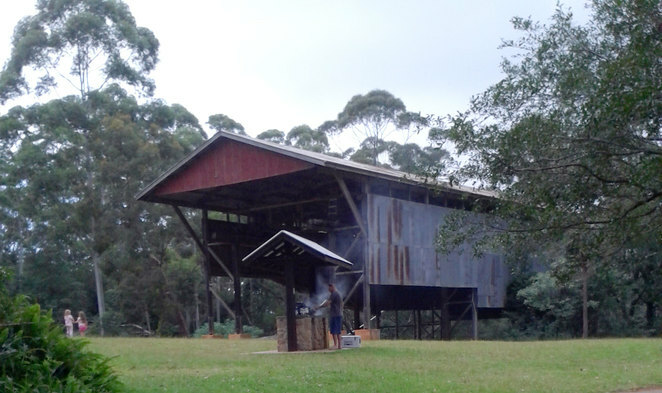 Have you been to Lake Manchester near Mt Crosby ? It used to have a swinging bridge.